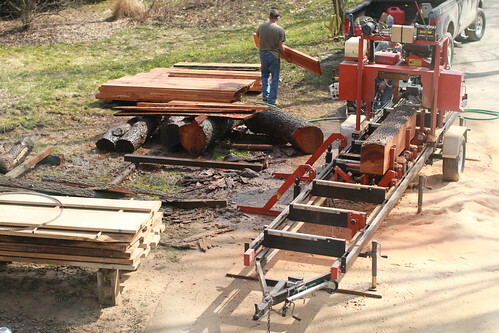 Gary Flint, the owner of the on site mill, set up in our driveway and ran our white oak and a neighbor’s cherry tree through the saw. Our tree needed some fine tuning with the chainsaw to get through. 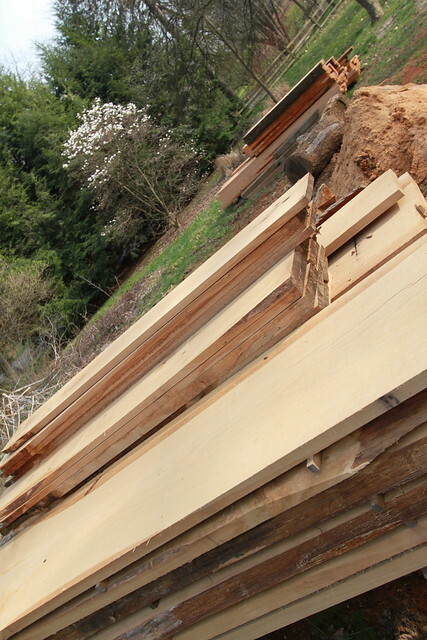 It’s amazing how much usable wood is salvaged from a straight tree. The 2″ thick boards were hauled off to the kiln. 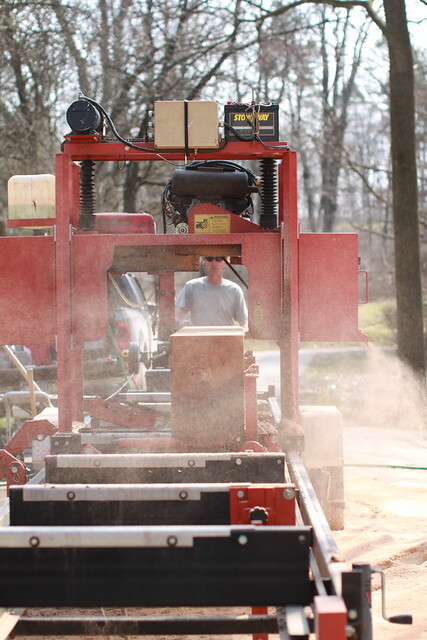 The 1″ boards will be dry enough to use later this year and are stored in our garage. 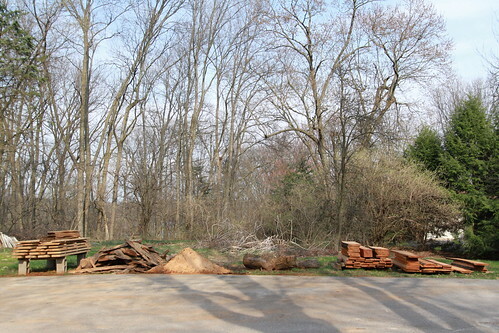 In a few months well have hardwood ready to be turned into a kitchen counter top. We’ll make benches from the wood still covered in bark and threw the saw dust over some freshly sewn grass seed. The crucial scraps of scraps will be be burned in order to make Smores. Thanks, White Oak. Tagged ann arbor, building, cherry lumber, home, house, michigan, on site milling, timber, trees fallen timber, white oak lumber. Bookmark the permalink.